This course is suitable for people with no previous experience. 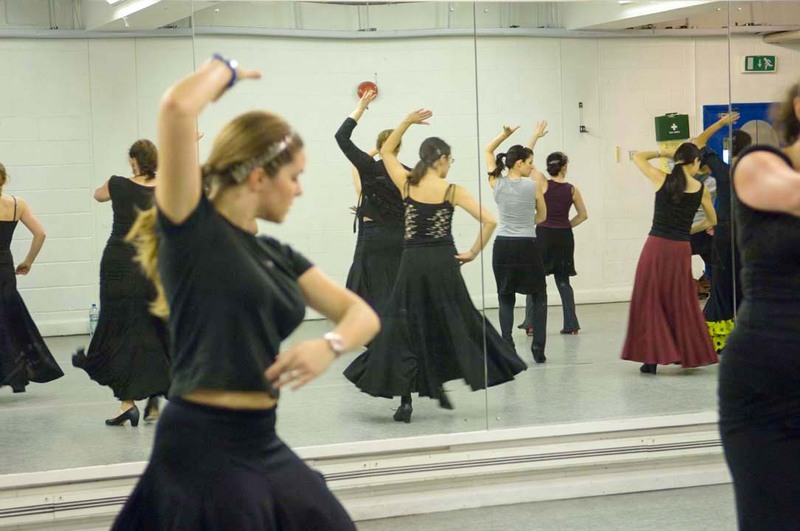 Always wanted to learn flamenco? Study footwork, arms technique & choreography over 6 weeks. You can pay for a six-week block (it works out cheaper!) or individual classes (pay as you go). It is possible to join the course even if it has already started, please contact us for details. All classes are accompanied by live guitar music. For information on what to wear to your first lesson please see our FAQ. We have good quality beginners flamenco shoes and skirts for sale. We can bring them to class for you to try on – ask us in advance. After this 5 week course there will be another 6 week course running from 4th June until 10th July for those willing to continue. Our complete beginners courses are very popular so we advise you book early. Please email us to reserve your place or call us on 07931341754. This course is sold as a unit and it is not possible to discount missed lessons from the total. You are welcome to make up for any missed lessons by attending our general technique class on Wednesdays at YMCA Tottenham Court Road 7.15-8.30pm or any of our choreography classes. We advice you contact us letting us know you are coming to the lesson for the first time in case there is a last minute change of venue or the lesson is cancelled. If we don’t know you are coming we won’t be able to notify you.